Inspired by Lapland’s stunningly beautiful landscapes and untouched nature, MOODAG JEWELRY® combines a modern look with traditional silversmithing techniques. Each silver piece is handmade in Finland and offers visitors a piece of Arctic mysticism. 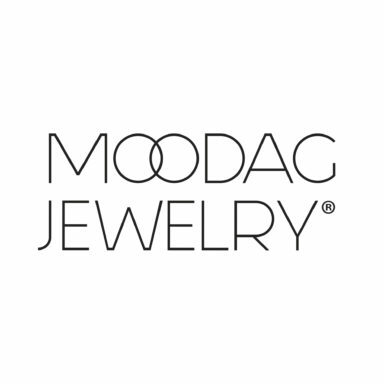 The name MOODAG JEWELRY® comes from the word ‘mood’ and the chemical symbol for silver, ‘Ag’. I think of my creative process as being in a ‘silver mood’. I started in 2013 when I was designin my first collection, A Drop of Inari. It showcases the supernatural beauty of Finnish Lapland. With the collection I was named Artisan of the Year 2014 in Finland. I designed the collection for those drawn by the beauty of Lapland’s untouched nature. I also wanted to offer luxurious souvenirs to tourists; jewellery that lets visitors take a piece of Lapland and spirit of the Arctic home with them. Each piece in my collection draws inspiration from the shapes and ever-changing scenery of Lapland. In Inari, the seasons present themselves in extreme ways: from ice-covered landscapes in the winter to 24-hour daylight in the summer. I’m constantly recreating what I see in the surrounding nature in my jewellery: whether it’s a crystal clear, smooth surface of a frozen lake or a birch tree casting a shadow onto snowy mountains, I use matte surfaces, engraving, hammering and oxidised silver to reflect shapes and textures around me.